In 2016, hotels should make room for higher profits due to a strong growth rate, a minimal supply impact, low oil prices and interest rates, and little interference from lifestyle costs. HospitalityNet.com featured these seven trends to help hotels make the most of this promising, profitable outlook. Counting on Analytics: With today’s advanced digital tools, it’s easy to monitor and measure each aspect of every marketing campaign. This can provide a hotel with a wealth of analytics that can be used to target hospitality marketing efforts, develop digital campaigns, and increase ROI. 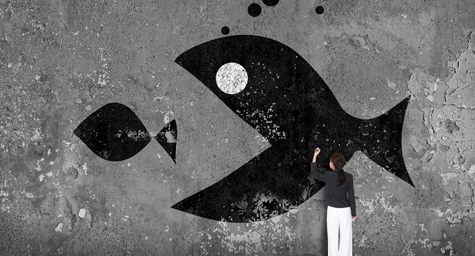 Merging Means More: The recent rise of acquisitions in the hospitality industry is a clear sign of the growing trend toward consolidation. In 2016, bigger is clearly better. Demanding Digital Marketing: There’s no denying that mobile and video define digital marketing both today and tomorrow. That’s why hotels must explore live video streaming via mobile in the coming year. It’s become a popular pastime for millions of people, especially the Millennials who make up the next generation of guests. Using OTAs for Additional Reach: While some hotels see online travel agencies (OTAs) as competitors, it’s better to view them as allies that provide a secondary source of bookings when business is slow. Their sweeping marketing campaigns provide outstanding reach, so tap into this channel during slower seasons to bring more exposure to a hotel’s website. Engaging on a Personal Digital Level: Today, more and more travelers rely on social media channels, online forums, and community apps to research, review, and reserve hotels. And they’re conducting these searches on mobile devices more than ever. To get guests to prefer a property, hotels need to continually engage with them on all of these digital channels in a personalized way, as well as provide mobile-responsive websites and apps that simplify searches and make booking a breeze. By personally engaging travelers on social channels, it shows that a hotel respects the guest’s needs and makes the brand appear more guest friendly. Saying Hello to a Sharing Economy: The popularity among Millennials today of sharing-based hospitality options like Airbnb and HomeAway is a clear indication that a new sharing economy has arrived. To accommodate this trend and this market, hotels must provide quality sharing options similar to those found at those popular sharing resources, such as fast Wi-Fi, plenty of outlets for charging digital devices, and mobile/digital check-in. Giving Millennials More Gathering Spaces: Millennials are a unique group that truly enjoys a group setting. They want to be able to gather in groups in high-tech, high-style surroundings. While they share a group mentality, they want to be treated like individuals with a personalized experience that provides maximum value. Many hotels are responding to their needs by designing open, multi-use lobbies and restaurants where groups can gather with ease. In 2016, follow this lead and personalize the hotel experience with plenty of group gathering spots to attract the Millennial market. Learn the latest hospitality marketing tips to boost bookings. Contact MDG Advertising.